Buttercream inks onto my panel of white cardstock. stamped them with their coordinating stamps. (from Simon Says Stamp's Big Scripty Sentiments) in Altenew Jet Black ink. You have until Thursday, February 9th to link up your card. Super cute design Leigh! Have a great weekend! Your background is spot on, this is pretty Leigh! Beautiful ink blending, Leigh! The red ferris wheel is so pretty against the blue sky. Your background inking is fabulous! Love what you've put together, Leigh - I was going for something similar with my background. I really like that Ferris Wheel! SO fun! You nailed it, Leigh! Gorgeous blended background! Love the ferris wheel die! 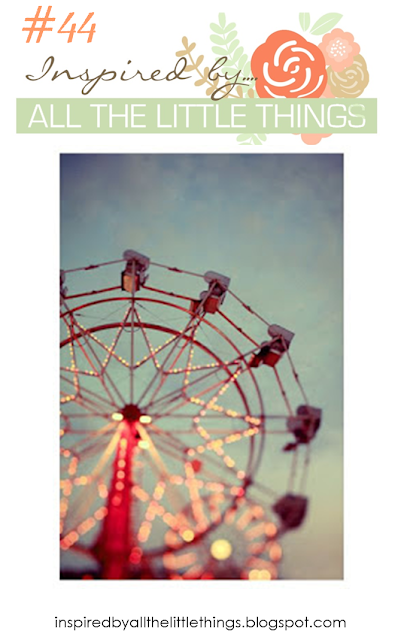 Love that soft background and how the ferris wheel pops! Super fun ferris wheel stamp! Love this card and all the PTI cards above too! I love your soft, blended background. Great card!